A fledgling project to build a huge new port, oil refinery and transport hub on Kenya's northern coastline promises to deliver thousands of jobs and is a pillar of the government's long-term development agenda. But critics fear the project will displace tens of thousands of people in Lamu District, exacerbate decades of marginalization, degrade marine environments essential to local livelihoods and increase the risk of conflict as the country gears up for elections in March 2013. “This project will displace many people from their homes… yet the government is not very clear on what plans they have for those who will be displaced,” Abubakar-Al Amudi, chairperson of Save Lamu, a coalition of organizations dedicated to saving the Lamu Archipelago from environmental destruction, told IRIN. When complete, the project, known as the Lamu Port and Southern Sudan-Ethiopia Transport Corridor (LAPSSET), is expected to provide a gateway to the Horn of Africa region. It is set to include building a port in Lamu's Manda Bay; a standard-gauge railway line to Juba, South Sudan’s capital; oil pipelines to South Sudan and Ethiopia; an oil refinery; three airports; and three resort locations in the Kenyan towns of Isiolo and Lamu and at the shores of Lake Turkana. In Lamu, the government has set aside 1,000 acres of land for the project. The Ministry of Lands says some 60,000 people will be displaced by the project. With just a few months remaining until the country’s presidential elections, human rights activists say the issue of land could be used by politicians to stoke violence. “The issue of land in Lamu must be used handled with care because the coming elections might give politicians the impetus to use it to instigate violence,” Hussein Khalid, the executive director of the NGO Muslims for Human Rights, told IRIN. Kenya has experienced politically instigated violence every election year since the introduction of multi-party democracy in 1992, causing the deaths of thousands the displacement of many more. “Land ownership has been used by politicians every election year to incite communities against each other, all aimed at getting political support and to exclude those they think might not support them,” Khalid said. The coast region has long grappled with unresolved land issues. After the country gained independence from Britain in 1963, the government appropriated large swaths of land and distributed plots, often according to a corrupt system of political patronage. Many residents ended up as “squatters” on land they considered their birthright. Currently, less than 20 percent of residents at the coast, including Lamu, have titles for the land they live on. The Mombasa Republican Council, which is calling for the secession of the coastal region, is using land rights as a rallying cry. The region erupted over these issues earlier this year, when two communities, the Orma and the Pokomo, fought over land. The violence left 118 people dead and thousands displaced, and is believed to have been politically instigated. But the secrecy with which the government is carrying out the Lamu project is only aggravating the sense of marginalization and exclusion among coastal residents. “It is a government obligation to ensure that people are [sensitized on the] Lamu port project to make them feel they are part of it. As it is now, they feel excluded because nobody is telling them how the project will benefit them. If anything, sentiments from locals suggest it is all about how the project will not help them,” said Auma Osolo, a political scientist at Masinde Muliro University. “Leaving people who have been living on the land without any adequate compensation is to perpetuate the marginalization of the coastal people that they have suffered over the years,” said Khalid of Muslims for Human Rights. The government says there are compensation plans for those who will be displaced, but residents are sceptical. “We have no title deeds, and the government has not given us any or told us they will give it. How will they compensate us? We don’t believe it,” Moussa Salim, a Bajuni elder, told IRIN. Government officials told IRIN that the demarcation of the land, the first step required before title deeds can be issued, had begun. This will help determine who will be compensated. “Once we are done with the demarcation, we will duly compensate people who have been affected, but it is not easy to say how soon,” Dorothy Angote, permanent secretary in the Ministry of Lands, said. IRIN did not, however, find any evidence of land demarcation during a visit there, and residents said they were not aware of any such exercise. In line with the constitution, the government has enacted three land laws - the Land Act 2012, the Land Registration Act and the Land Commission Act - expected to help manage the administration of land. The land commission, yet to come into place, by the law must help right historical land problems. Legal experts say any land issues carried out without the input of the commission would be illegal. The project involves dredging shallow inland channels and felling shoreline-stabilizing mangrove forests. 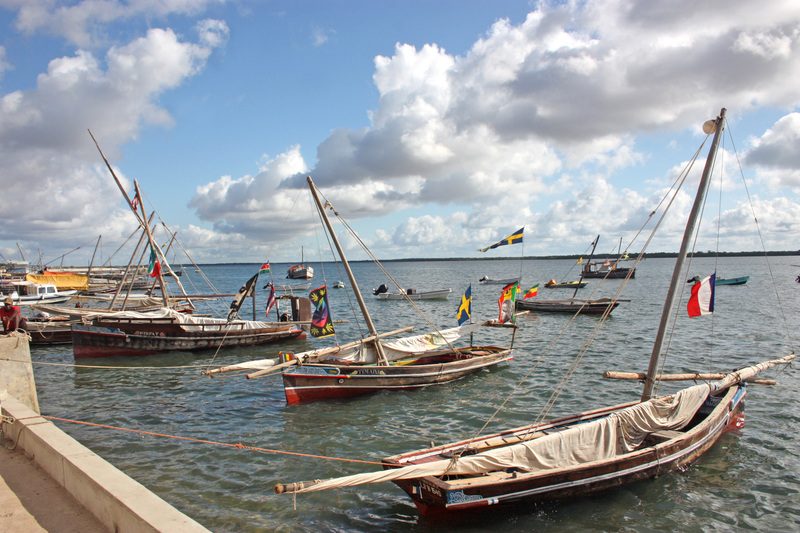 Experts say the process could disrupt artisanal fishing, the main source of income for around 70 percent of Lamu’s 100,000 people, and destroy the environment, especially the mangrove plantations. Fishing and tourism together provide a source of livelihood to 90 percent of Lamu’s population, according to the ministry of planning. “The project will destroy shallow waters and mangroves, a key habitat for fish, and many poor locals will lose their only source of livelihood,” Alfredo Quarto, director of the NGO Mangrove Action Project, told IRIN. “Ensuring that infrastructural development does not disrupt people’s livelihoods should be the priority for the government,” Garrett Monda, environmentalist and lecturer at the University of Nairobi, told IRIN. “When you have a project that will displace over 60,000 people without a clear plan on how you want to resettle them, it is a recipe for chaos,” he added. A feasibility study commissioned by the government recommended, among other things, a comprehensive environmental impact assessment. The government did put out an advertisement calling on firms to bid to conduct the impact assessment, but it has yet to be awarded.